The scheduling of the 2013 ICC Champions Trophy, the seventh and final edition of the tournament that the ICC World Test Championship will replace in 2007, lends itself to placing some value bets on the destination of the silverware. 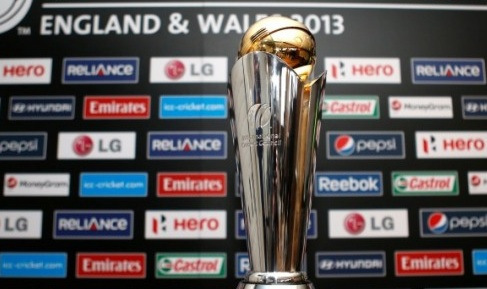 The 2013 ICC Champions Trophy will run from Thursday 6 June to Sunday 23 June, with eight teams – Australia, England, India, New Zealand, Pakistan, South Africa, Sri Lanka and the West Indies – at famous venues in Birmingham, Cardiff and London. The competition will conclude fewer than three weeks before England and Australia battle for the Ashes. There is no bigger event on the cricket calendar than the Ashes so to think that England and Australia will be 100 per cent focused on the 2013 ICC Champions Trophy when the First Test at Trent Bridge in Nottingham is programmed to get under way on Wednesday 10 July is, frankly, ridiculous. England’s squad for the 2013 ICC Champions Trophy includes nine of the 11 players who played in its 247-run Test defeat of New Zealand at Headingley in Leeds – Nick Compton and Matt Prior are the odd men out – while Australia’s roster for the competition features six of its Ashes tour party, including Michael Clarke, David Warner and Shane Watson. England and Australia are two of the three favourites for the 2013 ICC Champions Trophy, with bookmaking quoting best odds of around 4-1 about the hosts and a top price of around 11-2 about the defending champion and two-time title winner. To the uninitiated that means that Bet365 are offering odds of around 9-5 that either England or Australia take out the 2013 ICC Champions Trophy, which seems like a very short price given the proximity of the tournament to the Ashes and, also, the poor record of host nations in the event. Even after acknowledging that 1998 ICC Champions Trophy host Bangladesh and 2000 ICC Champions Trophy host Kenya had very little chance of triumphing on home soil, the performances of ICC Champions Trophy hosts have been disappointing. Joint 2002 ICC Champions Trophy host Sri Lanka shared the trophy with India but England (2004), India (2006) and South Africa (2009) fell short, with only the English making the final. And then there are the world rankings. Neither England nor Australia is the number one team in one-day international cricket, while the English have only three batsmen or bowlers in the respective individual top 10s and the Australians have only two in the higher echelons. Betting exchange punters could lay England and Australia but one would probably have to lay odds of around 9-4 in order to entice a backer. That, of course, means betting at 4-9 and that short a price will not be everyone’s cup of tea. Backing South Africa at odds of around 9-2 and/or India at odds of around 7-1 makes much more sense than siding with England and/or Australia. South Africa has five superstars ranked among either the top 10 batsmen or bowlers, including the top two rated willow wielders, Hashim Asla and AB de Villiers. The Proteas batsmen are level on 882 points. Also, do not read too much into South Africa’s fourth place in the current team rankings. The Proteas have played only 26 matches during the time period that counts, which is a lot fewer than most of their rivals, so they have not had the same number of opportunities to accrue some easy rankings points and bolster their 113-point average. Finally with regards to South Africa, it should go all right in British conditions given the balance of its team and it should be 100 per cent focused on the 2013 ICC Champions Trophy since its next assignment – a tour of Sri Lanka – kicks off with no fewer than eight limited-overs matches. As the world’s number one one-day international side, India warrants more respect than quotes of around the 7-1 mark. No team’s players are more across the limited-overs form of the game, while Virat Kohli and MS Dhoni are the world’s number three and four batsmen, according to the latest charts. India will receive massive support throughout the 2013 ICC Champions Trophy and, with the final set down for Edgbaston in Birmingham, one should note that England’s second largest city has a large immigrant population. If England does not reach the title decider, a side such as India, Pakistan or the West Indies would become the de facto home team. South Africa is the best 2013 ICC Champions Trophy bet at odds of around 9-2 but one can take a more conservative approach by dutching 7-1 India with the Proteas. The end result is two live contenders at odds of around 9-4. The only downside to the punt is that India and South Africa have been grouped together in the round-robin phase.